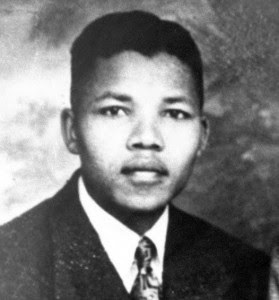 On July 18, 1918, Mandela was born along the Mbashe River in the village of Mvezo, in the Umtata district. 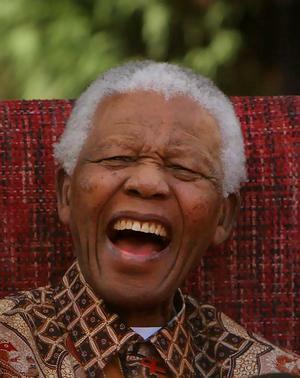 AllAfrica.com and the BBC both report that Mandela was "born Rolihlahla Dalibhunga." 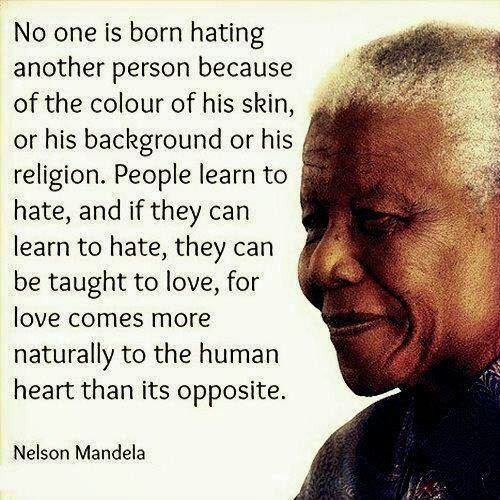 Mandela explains in his 1994 autobiography, Long Walk to Freedom, that he was given the English name "Nelson" by his teacher Miss Mdingane on his first day at school, which he explains was a common practice within white South African institutions, where whites were unable or unwilling to pronounce African names. 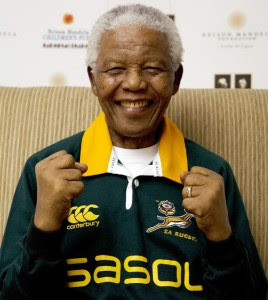 In Long Walk to Freedom, Mandela writes that "[a]part from life, a strong constitution, and an abiding connection to the Thembu royal house, the only thing my father bestowed upon me at birth was a name, Rolihlahla. In Xhosa, Rolihlahla literally means 'pulling the branch of a tree,' but its colloquial meaning more accurately would be 'troublemaker.'" Mandela's father, Gadla Henry Mphakanyiswa, was chief of Mvezo in the Transkeiean territories, and from the African indigenous Thembu royal family line. His mother was Nosekeni Fanny, the third of his father's four wives. Mandela was one of thirteen children and had three older brothers. In 1964, Mandela was arrested, he was convicted and sentenced to life imprisonment. He was incarcerated on Robben Island, near Cape Town, as prisoner 46664 for 18 of his 27 years in prison. Mandela imprisonment became a symbol of black oppression and a world-wide symbol of the resistance to racism. It sparked Pan Africanist responses from the Americas through support of organizations like TransAfrica under the efforts of the African American lawyer Randall Robinson. 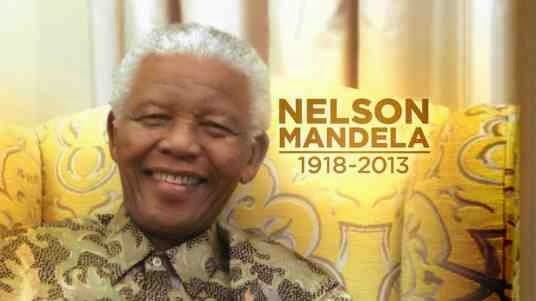 Mandela gained world-wide support, even from Europe. He was allowed to study for a Bachelor of Laws through a University of London correspondence program. Mandela may have become the most revered prisoner in modern history. He would indeed be the trouble-maker, using his life to help dismantle apartheid to form a new multiracial democracy. In 1990, Nelson Mandela was released from prison under then leadership of his country's president Frederik Willem de Klerk. By July 1991, he was elected president of the ANC. In 1993, Mandela and de Klerk were both awarded Nobel Peace Prizes. 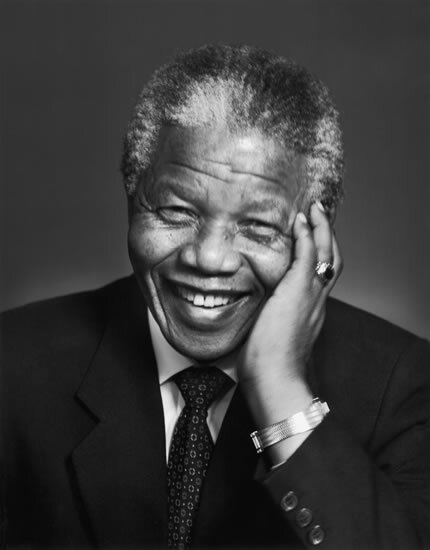 On May 10, 1994, Nelson Rolihlahla Mandela was elected the first black South African president as a result of its first multiracial elections. He served as president until 1999 before retiring from active politics. He maintained a busy schedule of fund-raising for his Mandela Foundation, which aims to build schools and medical clinics in South Africa’s rural regions. In 2001, he was diagnosed and treated for prostate cancer. June 2004, at age 85, he announced his formal retirement from public life. New use for that old standby "Aspirin"